You can find out Sanyoung Full Product List. Jaw Crusher is a kind of Stone crusher, and jaw crusher is also called Rock crusher. The HSI crushers break rock by impacting the rock with hammers that are fixed upon the outer edge of a spinning rotor. VSI crushers use a different approach involving a high speed rotor with wear resistant tips and a crushing chamber designed to 'throw' the rock against. A vibratory feeder is an instrument that uses vibration to "feed" material to a process or machine. A rotating drum causes friction and attrition between steel rods and ore particles. A ball mill, a type of grinder, is a cylindrical device used in grinding (or mixing) materials like ores, chemicals, ceramic raw materials and paints. Sand maker (Sand making machine) is the equipment which makes sand artificially. Crushing plant is a static or mobile assemblies containing a range of equipment, such as a prescreener, loading conveyor, intake hopper, magnetic separator, crushing unit. You can find out Samyoung Full Crushing Plant List. 50T/H Crushing Plant can crush such as limestone, granite, basalt and so on to product aggregates for ready mix concrete, building material, construction site and others with capacity 50T/HR . 100T/H Crushing Plant crushes such as limestone, granite, river stone, basalt with capacity 100T/HR. 150T/H Crushing Plant crushes such as granite, river stone, basalt, limestone etc with capacity 150T/HR. 200T/H Crushing Plant crushes such as river stone, granite, basalt, limestone, mixed stone etc with capacity 200T/HR. 300T/H Crushing Plant is for crushing such as river stone, granite, basalt, limestone, mixed stone and so on with capacity 300T/HR. 600T/H Crushing Plant is to huge product of aggregates mainly for building material, construction site, ready mix concrete and other jobsites. Portable Crushing Plant designed based on the conception of fully adapting various crushing condition. Sand plant is the ideal equipment for sand making and building stones reshaping. Sand Plant produce the crushed sand as an alternative of river sand.You can find out Samyoung Full Sand Plant List. 100T/H Sand plant is the ideal equipment for sand making and building stones reshaping in 100T/HR. 150T/H Sand plant is the ideal equipment for sand making and building stones reshaping in 150T/HR. 250T/H Sand plant is the ideal equipment for sand making and building stones reshaping in 250T/HR. Construction Waste Recycling Plant is to recycle the building and construction waste in to aggregate and sand. Mostly concrete waste and asphalt waste. You can find out Samyoung Full Recycling Plant List. 200T/H Construction Waste Recycling plant is a facility which processes materials for recycling in 200T/HR. 300T/H Construction Waste Recycling plant is a facility which processes materials for recycling in 400T/HR. Samyoung Plant is the largest and leading crusher manufacturer in Korea, with over 50 year experience since 1960s in crusher business. Find the latest Catalogue, Company Profile for various mining quarry businesses. Find the Certificated Crusher Plant such as Patient, CE, ISO etc. We will do our best for your requirement, Please feel free to contact us at any time and any where. 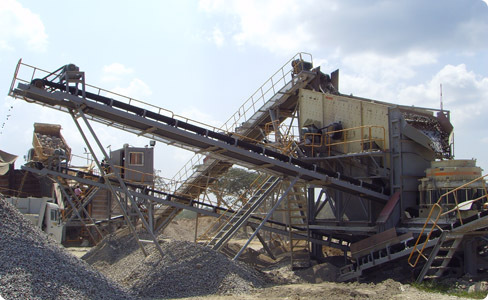 200t/h Stone Crushing plant is most popular range of SAMYOUNG CRUSHING PLANT capacities. The crushing plant has basically FSK-4430 JAW CRUSHER, MC-200 CONE CRUSHER, QH-1042 VIBRATING FEEDER, OP-2160 VIBRATING SCREEN and Belt conveyors with Stationary crushing plant support or Portable crushing plant (Semi-mobile crushing plant with wheels) support but it can be changeable according to user’s request. Samyoung Plant has not only simple system to product several sizes of aggregates but also unique systems for very hard stone crushing such as hard Granite or River stone. With the Korean steel materials and motors, SKF & FAG bearing made in Sweden & German, you can feel the best quality and productivity in your crushing plant. 200Ton per Hour crushing plant is for crushing smaller size stones that 630mm likes hard limestone, granite, basalt, pebble. 200t/h Crushing plant is suitable for crushing all kind of hard rocks, stones, minerals, recycling construction waste etc. SamYoung Crushing Plant can provide various size Crushing Plant according to customers' special requirements and hardness of stones. SamYoung Crushing Plant have special technology and experience about river stone crushing and other very hard stones. Various final product sizes are available with customizing crushing plant system solution. Copyright (c) 2012 SAMYOUNG PLANT CO., LTD. All right reserved.